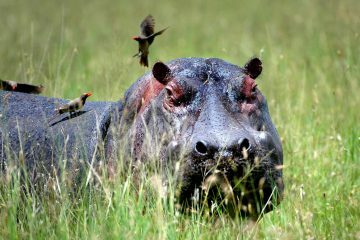 It is very safe to make a Tanzania Family Safari. It comes a time that you need to travel to Africa and you have children whom you don’t want to leave back home. You need to be close to the children or you need to give them this rare treat of a life time; taking them on a family safari to Tanzania. You will be definitely asking yourself a lot of questions trying to see if it is possible to do so, but at Tanzania Safari Supremacy we offer the best Tanzania Family Safari. 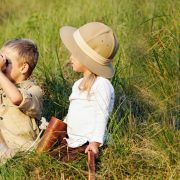 Safety is the number one priority when planning a trip to Africa with children and that is why we only include activities that are not only fun for kids but first and foremost safe for them. 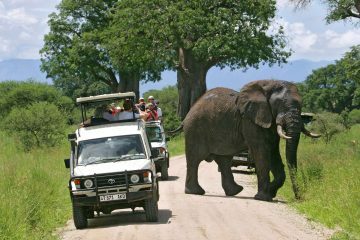 We offer safari packages as well as safaris combined with Zanzibar beach vacation to suit any family’s requirements and budget. We know the best lodges and hotels in Tanzania that are suitable for children and are very child friendly. Depending on your wishes and availability we can arrange for family rooms as well as Interconnecting rooms that are perfect for persons travelling with children to Africa. Two weeks Tanzania family Safari and Zanzibar beach for kids. 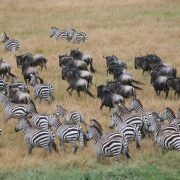 This one is a typical 14 days family Tanzania safari, that takes you and your family to the national parks in the north of Tanzania as well as taking you to Zanzibar Island for a relaxing family beach holiday. 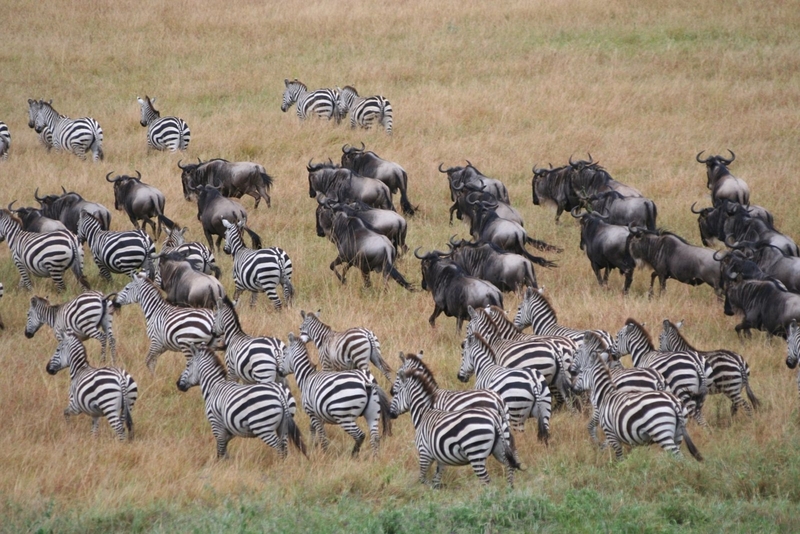 The safari includes the visit to the most famous wildlife areas including the Ngorongoro Crater, Serengeti National Park, and the beautiful Lake Manyara National Park. 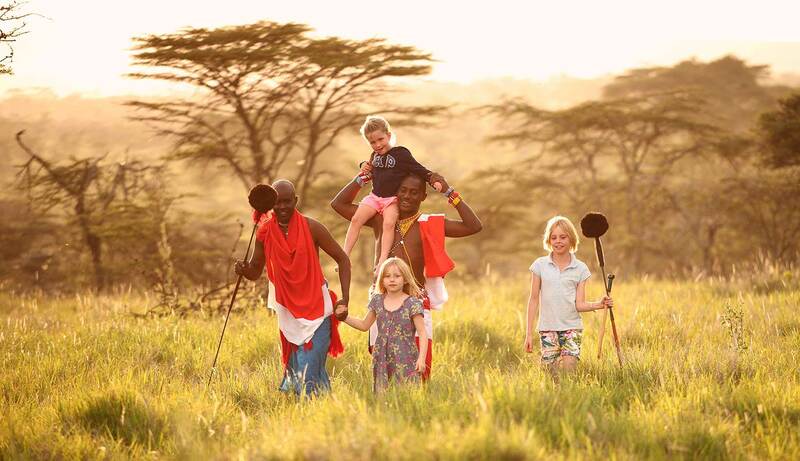 Apart from the animals and birds that the kids will enjoy seeing, we have also include a visit to a Masai village in the Ngorongoro Conservation area which always excites kids, as they get to learn about the unique cultures and traditions of the African people. Our Safari experts will be more than happy to customize a Tanzania family safari for your and your children, according to your budget, and interests. This is your arrival day in Kilimanjaro International Airport where we will pick you and transfer you to a lodge in Arusha. On this day our safari manager will meet you at the lodge to give you a short safari briefing and leave you to relax. Diner is included at the lodge for your first night. Overnight is at Mount Meru Game Lodge. In case you arrive via another airport fx Dare s salaam, or Nairobi Kenya, We shall arrange your Transfer to Arusha . From Dare s salaam we can only recommend flights. From Nairobi you can be transferred to Arusha by a scheduled Shuttle bus, Private vehicle transfer via Namanga border or flights to Kilimanjaro International Airport. 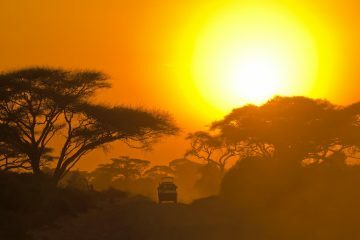 After your first night in Tanzania, this morning we leave for the Lake Manyara National Park, some One and a half drive from Arusha. We will arrive at around 10 Am and after registration formalities at the park we enter the park for game drives until time for lunch. Lunch will be served at one of the Picnic sites in this park then continue with Game drives all afternoon. 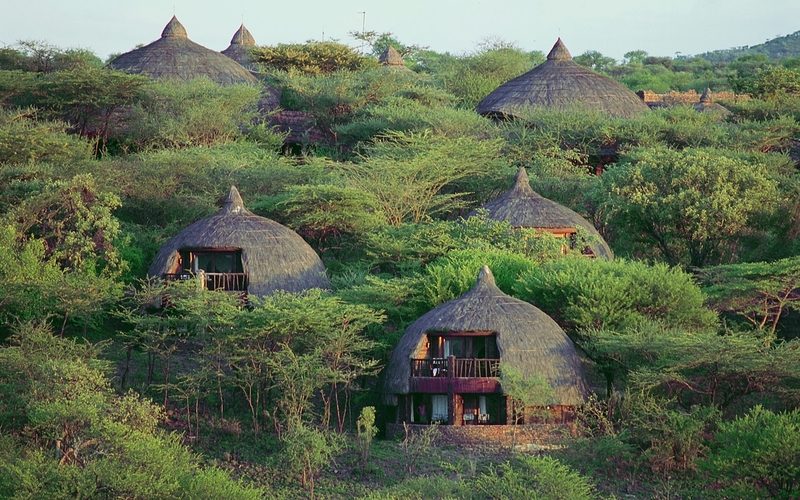 In the late afternoon we will drive to Rift Valley Lodge or Kirurumu Tented Camp for dinner and over night. Family rooms are available. Hot lunch can be served at the lodge if you wish and if necessary for children. Ngorongoro Conservation Area/ Karatu Area. Here on this day you can go for a very early morning game drive if you wish then back to the lodge/tented camp for breakfast. After breakfast you will spend the rest of the day in the Serengeti plains doing game drives if you wish. You may choose to do a morning game drive and relax during the afternoon. Serengeti Sopa Lodge has a swimming pool where children can take an afternoon dip to coo off from the African Sun. 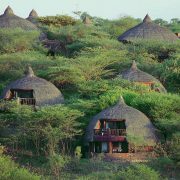 Overnight at Serengeti Sopa Lodge or Grumeti Migration Tented Camp just outside the Ikoma Gate. You will check out of the beach resort this morning and rive to Stonetown with a visit to the Spice plantation on the way. You will be offered a guided and well informative tour of the ancient plantations. Lunch will be served at the Plantation then drive in the afternoon to Stonetown. Overnight will be at Tembo House Hotel. After breakfast you will relax until about 10 am when we go for a guided tour of the Stonetown. This tour will offer us the rare chance to explore this ancient town and get to to see the old cathedrals and other historically important buildings in the island. These buildings include The people’s palace, House of wonders and the Old fort. Overnight at Tembo House Hotel. After breakfast at the beach resort you will be transferred to the Zanzibar Airport for your flight back home. Depending on your departure time , you will be transferred to The Airport to take your flight back home. In case you are flying out of another airport fx Dar es Salaam or Nairobi, we can arrange your connection flight. End of the Family Safari in Tanzania Africa.